In 2007, the GS models of the F series had their debut. 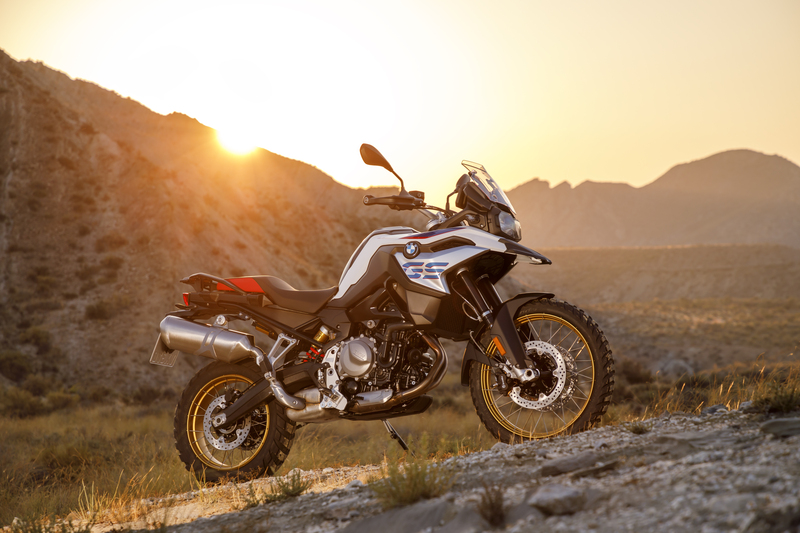 Ten years later, BMW Motorrad has now designed the middle-class GS models completely new. However, the abbreviation GS still stands for the perfect harmony of touring capability, sporty dynamics and Offroad characteristics. The new F750GS especially addresses riders who search for a travel enduro with a low seat height, sufficient power availability, high cost-effectiveness, and powerful all-round qualities. Displacement is 853 cm³ and and the power output is 57 kW (77 hp) at 7500 rpm. 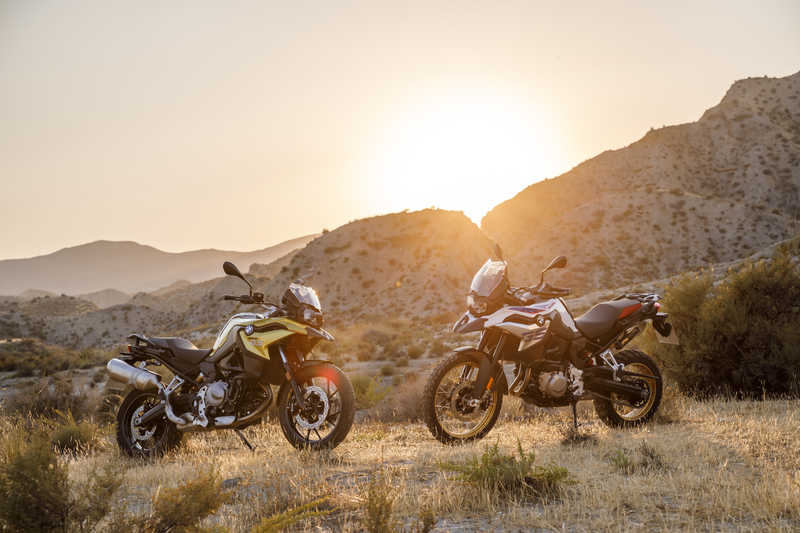 The new F850GS has more power and torque than the F750GS, offers even more distinctive touring characteristics and superior Offroad capabilities. It has a power output of 70 kW (95 hp) at 8250 rpm. The powerful 2-cylinder in-line engine of the new GS models has two counterbalance shafts and a firing interval of 270/450 degrees, which generate an optimised smoothness and emotional , powerful sound. The two driving modes "Rain" and "Road" are integrated as standard and as an optional equipment, some "Pro" riding modes can be chosen. 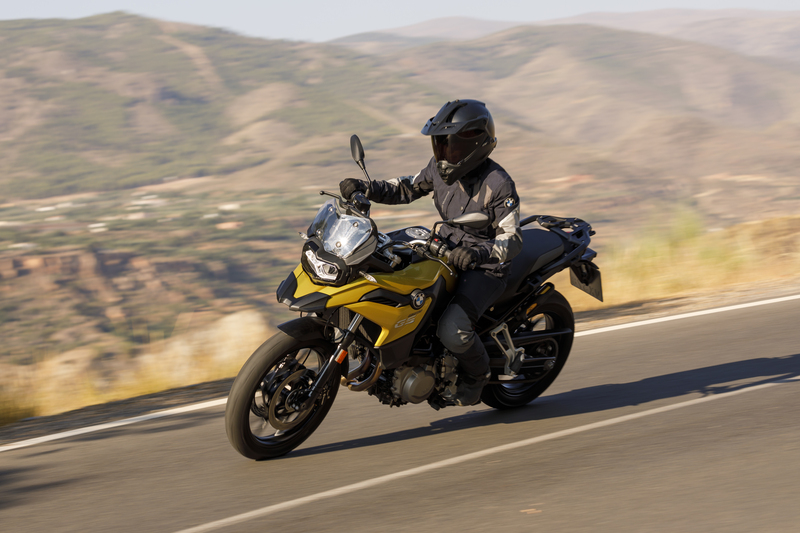 BMW Motorrad ABS and the automatic stability control ABS ensure a high level of safety. The suspension geometry of the two new GS models has been significantly optimised. The motorcycles have a steel bridge frame in monocoque construction and the fuel tank is newly positioned between seat bench and steering head to improve the centre of gravity of the bikes. The visual design of the two new GS models is very innovative, too. 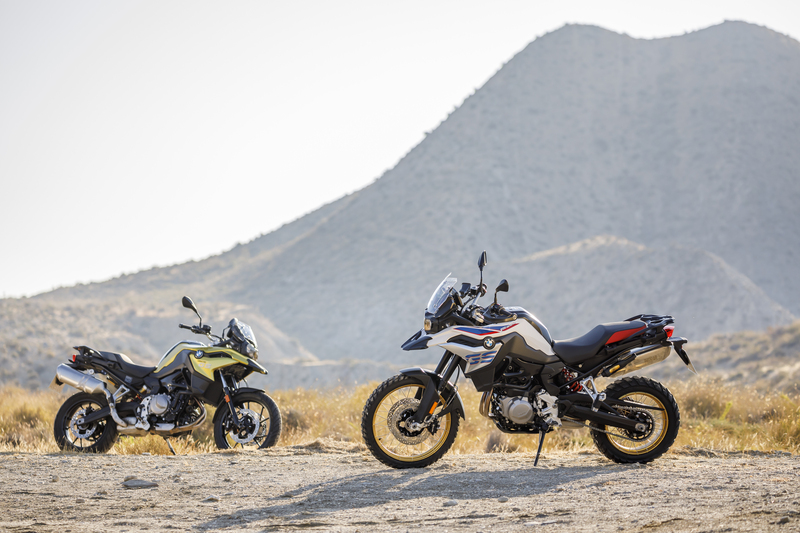 The F750GS and F850GS have a considerably more masculine design than their predecessors and therefore seem to be more dynamic. Besides the basic version, the new models are also available in the "Exclusive" Design. The F850GS is also available in the style version "Rallye" which visually highlights the Offroad characteristics of the motorcycle even more. Here you can find all our products for BMW F750GS & F850GS.